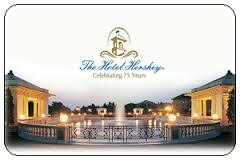 Hershey, which operates The Hotel Hershey, Hersheypark Entertainment complex and other facilities, is providing a year of card monitoring service to those guests whose financial information may have exposed to its Pennsylvania hotels, amusement park and other venues. According to a news report published on Action News, the company is working with a security firm to resolve the issue. The company said that those cards used at its properties within Feb. 14 to June 2 may have been compromised. It did not find evidence that information was removed from its system. However, some of its guests have reported unauthorized charges on cards used at its properties. The company said that a malicious program was installed in its payment system that extracted payment card data, including a cardholder's name, card number and expiration date.